Sometimes the opportunity to talk to incredible people just happens to fall directly into your lap, or in this case, our beloved inbox. After reading about this man's personal journey and his turbulent trip to Kenya, we knew we had to learn and hear more about the guy behind the lens. This 'guy' we are talking about is Jye Currie. 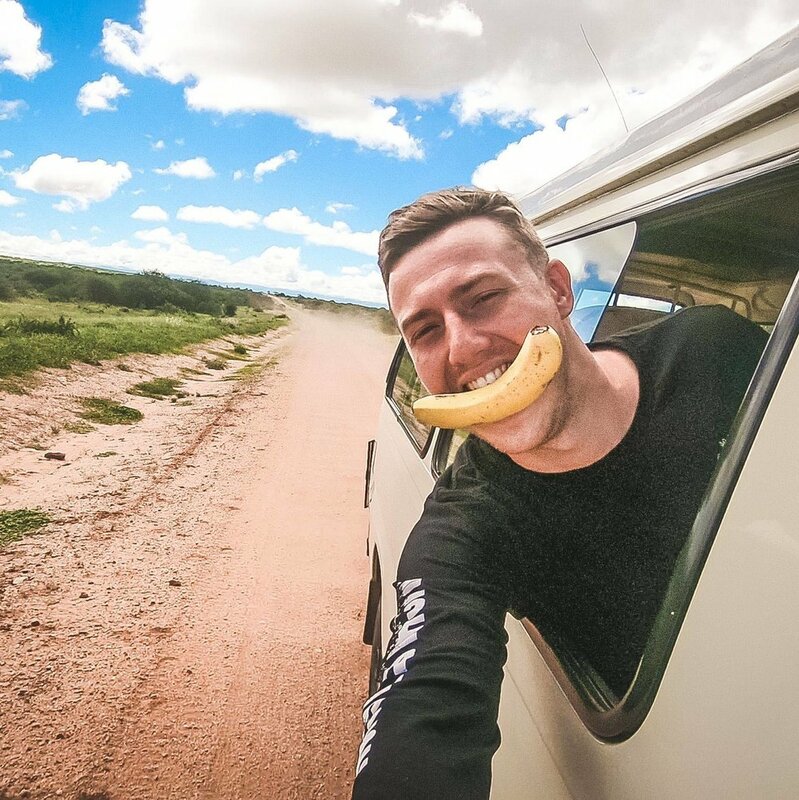 Currently studying a Bachelor of Communication (Majoring in Media Production) at The University of Newcastle, Currie spends any spare moment he has chasing his passion and capturing some incredible shots of the landscapes, environments and people around him. Currie has made a name for himself in the photography scene, having earned himself some local and international awards for his work. Beyond the razzle and dazzle of awards and fancy photo work, Currie is a very down-to-earth, compassionate and energetic guy - proof in his constant support of humanitarian causes and his eagerness to travel the world (where his camera is his most necessary luggage item). 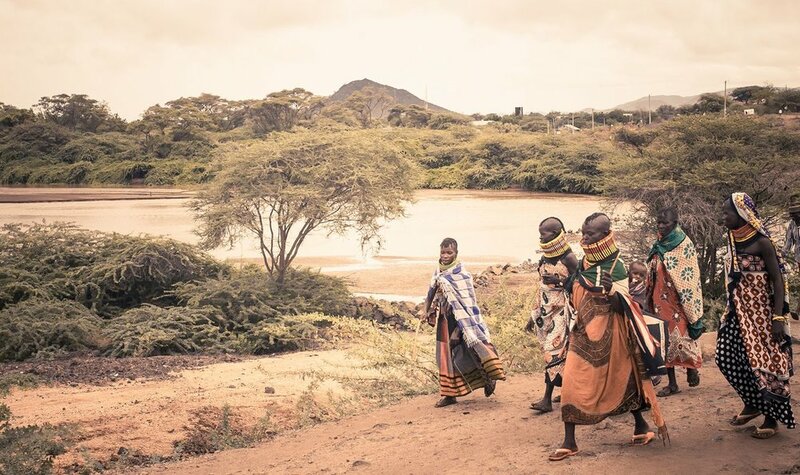 This eager nature and willingness to do something for a cause, saw Currie travel to Kenya with the charity, The Africa Solution, in hopes to provide aid and relief to Turkana, 'the famine corridor' of Kenya, and also take a few photos whilst he was there. Amidst adverse circumstances, that saw Currie and the NGO director, Joel Kidd, escorted out of the village with two gun-men at their side, Currie & The Africa Solution team committed to making at least one food drop to the local village so they could still provide some relief to the people of Turkana. Despite the trip not having gone as originally planned, Currie was able to come back to Australia with a whole heap of visuals from his time abroad and a story, that alongside these amazing pictures, quite literally left me in chills. These photos are incredibly beautiful and rare, as it is often not allowed and deemed as an uncultured practice in Turkana. The people of Turkana often view photography as '...capturing their soul or taking their blood', but Currie's energy and spirit saw the people become more comfortable in front of the lens. Every ticket sold will provide enough food to feed 3 people for 2 weeks to the people in Africa, so if you're looking for a way to combine your love of photography and charity, get your ticket and make your way to the exhibition on Saturday. What got you into photography? Was it always something you were drawn to? I started Photography when I was in high school. One of my teachers had seen a photo I captured in Sydney and entered it in a world-wide competition - I was place in the top 80 in the world & my work went on to be exhibited in London. 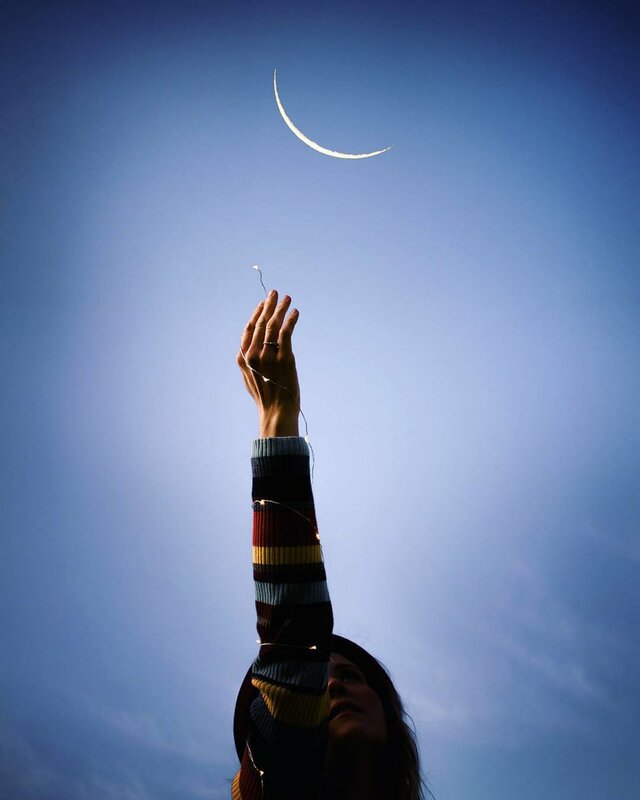 Through life and growing up I drifted apart from my photography (although it was always there). After exploring life and many travels I was drawn back to photography with a much fulfilled purpose. Your motto is “Looking at life through my own lens” - what does this motto mean to you? As I feel (personally) nowadays many people have such strong opinions and outlooks on life and most commonly this results in myself feeling quite different (I look at this in a really positive way). I not only want to look at life in my own way (through my own lens) but share this to the world by expressing it through my art. What is it that you try and capture with your photography? ‘Cause it’s much more than just an image to you isn’t it? I mainly aim to capture through my photography, emotions! Whether it’s a memory or a feeling, just something that can impact an individual for a moment (achieving this is truly amazing). 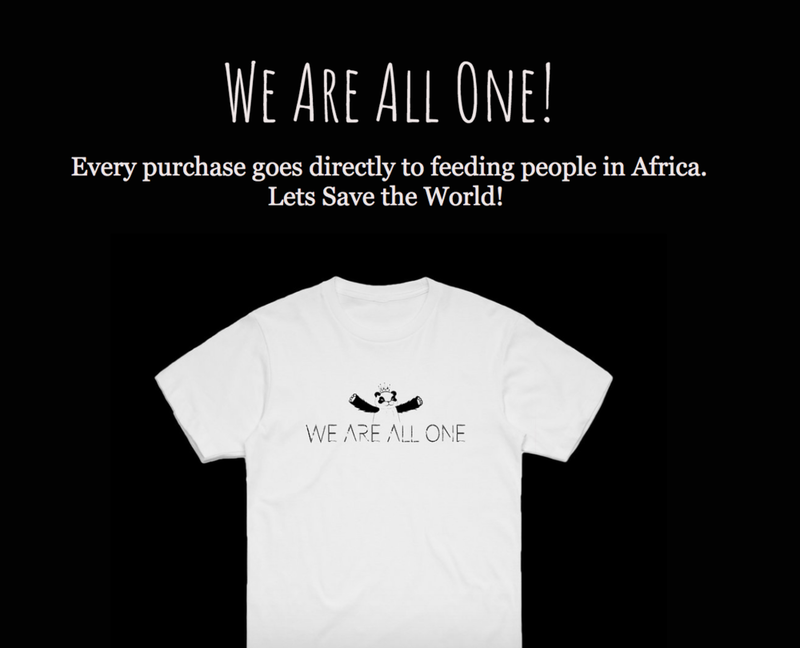 You’ve worked with the charity, ‘The Africa Solution’, on multiple projects - including releasing range of clothes from your clothing line - why this particular charity? 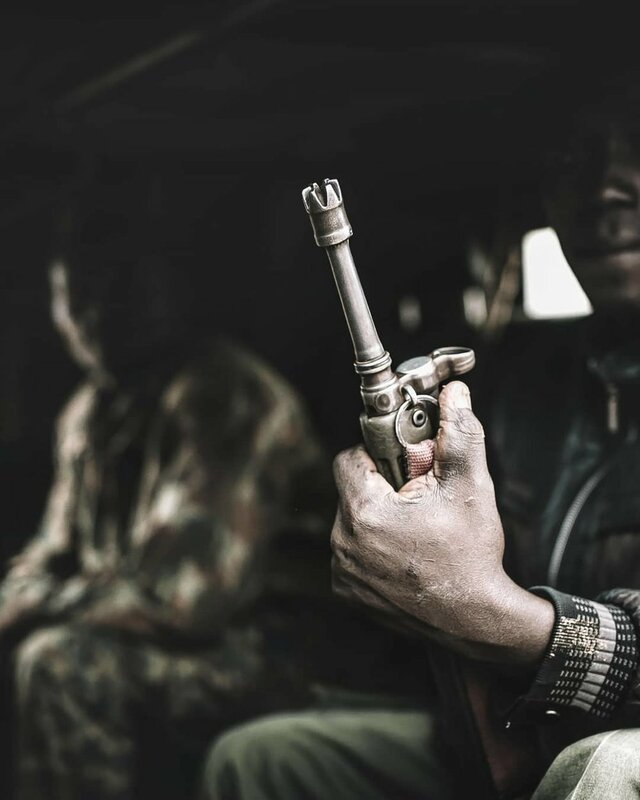 They reached out to me, with an opportunity to travel with them while capturing and exposing the conditions in which the people of Africa live through daily. To be able to give back and purely help those in need, is a gift and everyone has the opportunity to share it. I always keep myself busy with different projects, (my clothing line being one). I thought why not help those in need in as many ways possible (not just my photography), so I designed a specific range of clothing to donate the profit, as well as now my photography exhibition. The founder of the Charity, Joel Kidd, (who is now a close friend of mine) goes to Africa on average 3-4 times a year and does all the ground work himself with his partner, William, (who is a local in area, where the charity operates). I love the dedication and the model of this charity in terms of providing instant relief, as Joel travels there himself all money that is raised goes straight to the ground providing food & relief instantly, there is no middle man. Speaking of your clothing line, what inspired you to get that up and going? For many years I found myself lost and confused with direction and motivation towards life. After travelling and exploring life in my own way, I found purpose and motivation through simply chasing my passion! CamStrength from Jye Currie on Vimeo. I wanted to spread this love and joy by motivating others to chase their passion too. I feel life is too short to be waisting your time doing something that you don’t love or to please others (I notice many people living this way). I simply want to motivate as many people as possible to live their life full of happiness and purpose & what better way to do so then spend your time chasing your passion. You recently went on a trip to Africa with ‘The Africa Solution’ NGO - what was the reason for taking this trip? The trip was simple a mission trip to provide relief to those in need, my goal alongside this trip was to capture every moment to raise more awareness and expose these conditions, sadly the trip was cut short due to our safely being at risk. Africa, from a cultural standpoint, is very different from Australia. How much of a cultural shock is it? What stood out to you? Very different to Australia. I have done quite a bit of traveling over the years, including all of Australia, all through Asia and the Pacific, America and all of South America, which has obviously resulted in me being open to a lot of different cultures. As of this, I wasn’t as quite shocked in Africa, until we hopped on a 2 hour flight to Lodwar and then continued the journey out to Lokichar. Seeing people 9 hours away from the closest city walking around with spears and living in mud houses with no water, food & electricity but still spending every living moment full of happiness is when I was shocked. From what I’ve heard, your trip didn’t exactly go as planned. Do you want to talk a bit about that? Basically due to many murders, hijacking and the area being in an outburst every night for the past 3 weeks, our safety was at risk, flash floods stopped us from reaching our final destination, our car broke down and we were forced to leave the area being escorted with gunmen hanging out the back of our truck. We did however manage to stop and feed a community of 90 people (which I captured via still imagery). You’re now back in Australia with a whole heap of photos from your trip & you’re putting on an exhibition. What can people expect to see? Why are you putting on an exhibition? The exhibition is purely to raise awareness and money (which will be sent back over providing food to those in need). The exhibition will consist of The Wildlife, Landscapes & the people of Kenya. Is there something in particular you’d like people to think about when they look at your photography or take away from it? I do aim to embed a message by capturing my subjects in a certain way, this quite commonly can be interpreted in different ways, therefore when viewing my photography there is no intended message. I wish that people take out of my work simply their own message or emotion. What’s the next step for you? Any big plans in the works? Plenty of travels are booked and planned in the near future, after this exhibition. I am having another in Sydney then aiming for Melbourne later in the year and then Hong Kong early 2019. I am working on a few video projects (short feature films) and some big plans in 2019 which I can’t mention due to privacy agreements. 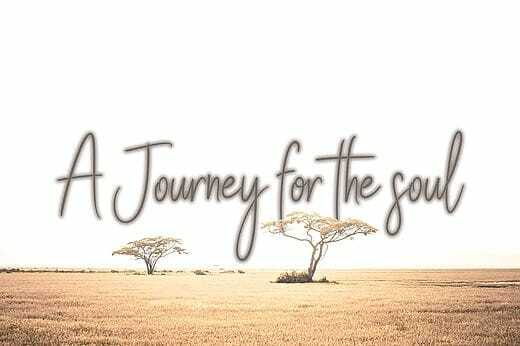 To check out Jye's exhibition, 'A Journey for the Soul', be sure to grab your tickets here. If you cannot make it to the exhibition and still want to donate to The Africa Solution, their website is here also. Jye is always uploading awesome pictures, so if you want to follow his camera action check out his socials below.